After a stormy, six-hour public hearing on Tuesday night, New Westminster city council has unanimously approved a modular housing development in Queensborough. 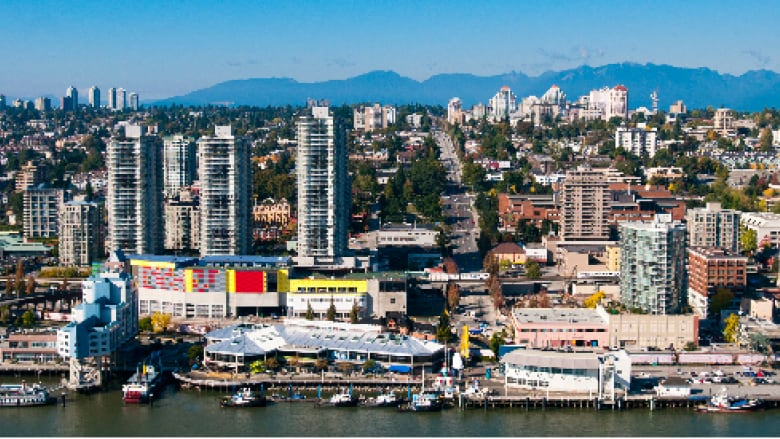 After a stormy, six-hour public hearing on Tuesday night, New Westminster city council unanimously approved a modular housing development in Queensborough. The decision came around 1 a.m. PT Wednesday, after a meeting attended by 250 people, many of whom opposed the project, which would provide 44 units of housing. Several police officers were called to the meeting to keep the peace. Similar housing projects — which are aimed at housing homeless people — have drawn controversy in Vancouver, Richmond and Maple Ridge. Nadine Nakagawa, who attended to support the unit, said "tempers definitely flared." "Certainly, it was not comfortable, and didn't feel like the community came together at the end." The neighbourhood's MLA, Liberal Jas Johal said residents are concerned about the location of the modular housing. "Police were called because it was just local residents, soccer moms and dads, who really aren't happy with the fact that this modular housing unit is being moved into Queensborough," he said. "They're concerned about it going in right in front of a school and a community centre." But Nakagawa, who worked at a homeless shelter for women in New Westminster for years, said she knows "how it was to find housing for women at that time." "What is the appropriate place? We've heard that throughout the area, that this is never the appropriate place," she said.